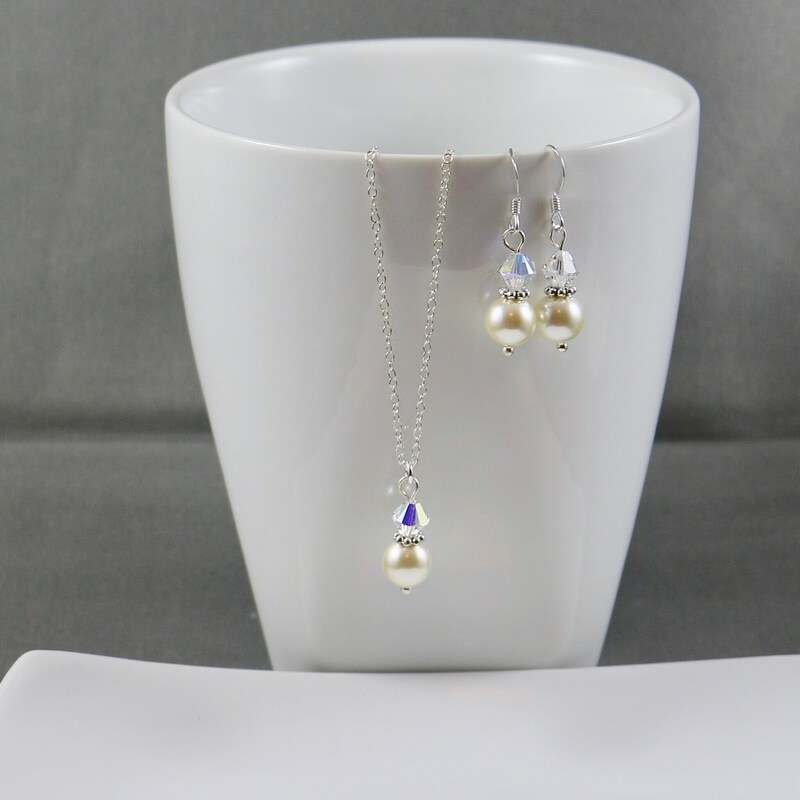 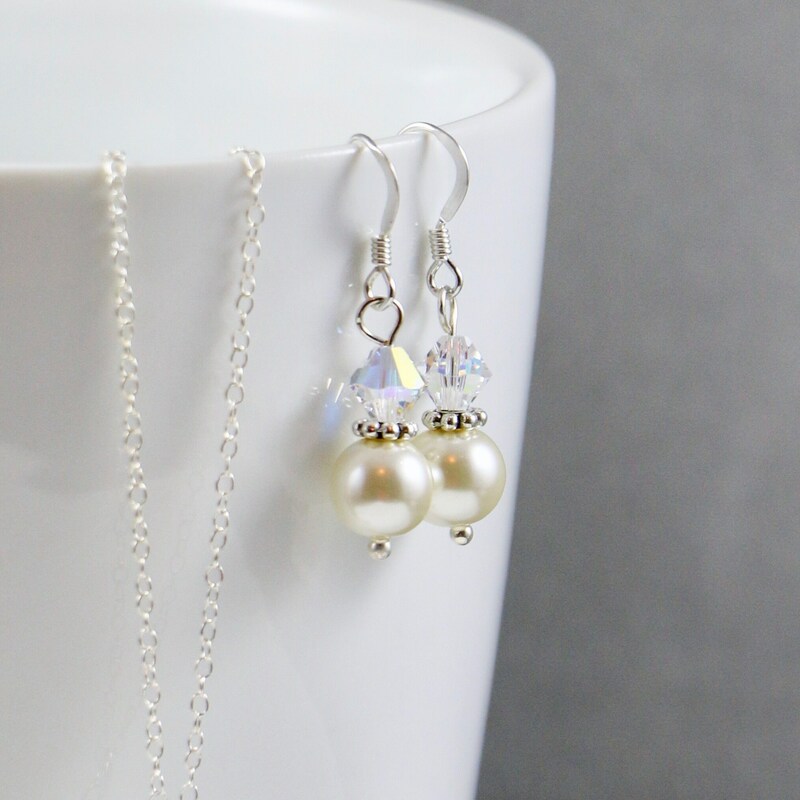 Earring Ingredients: 6mm Crystal AB color Swarovski Crystal bicones and 8mm White Swarovski Pearls. 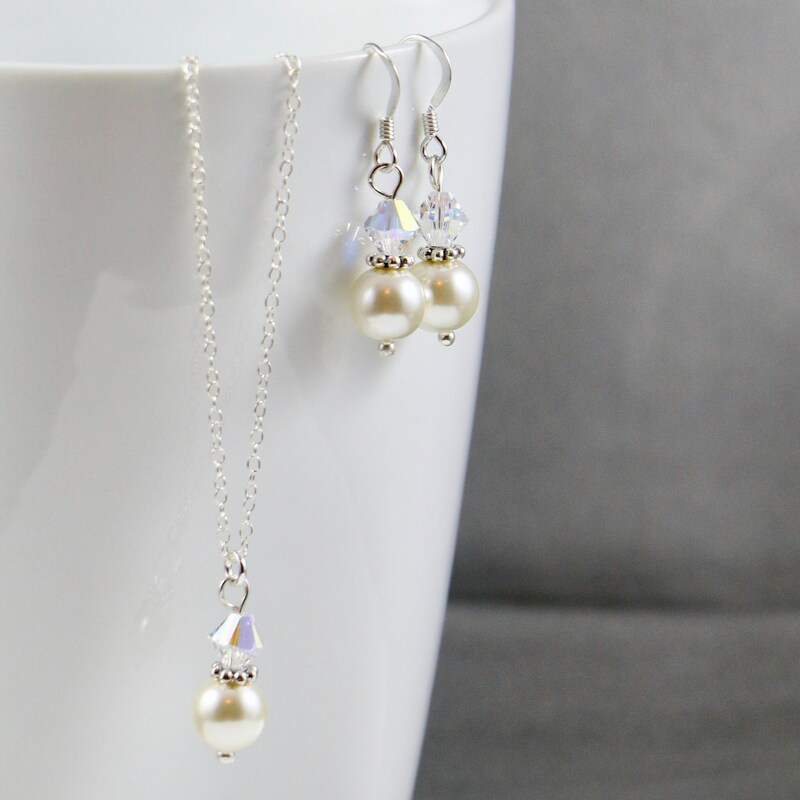 Earrings hang approximately 1" from end to end. 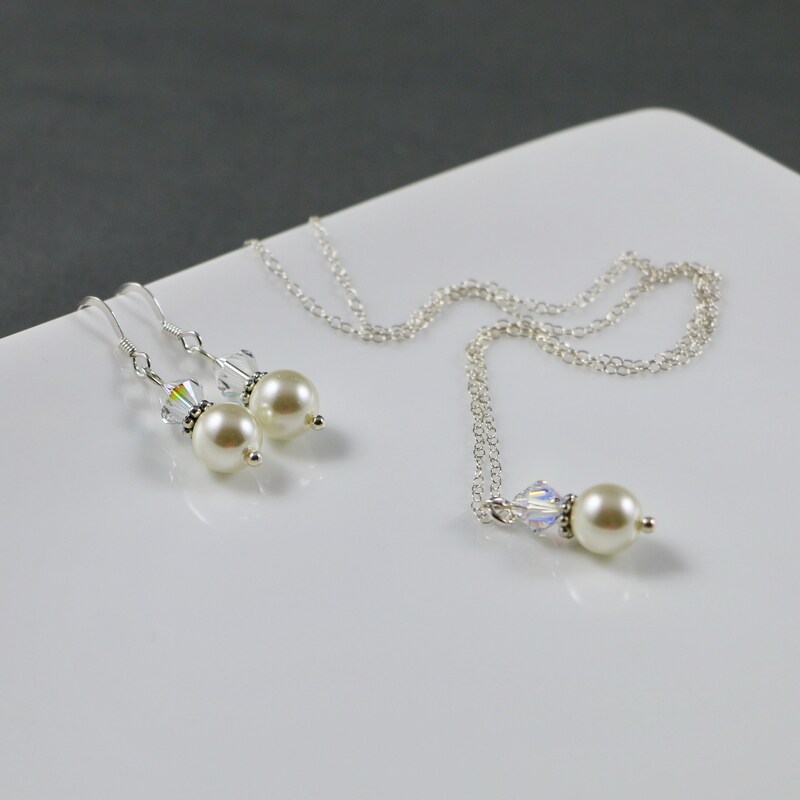 Necklace Ingredients: 6mm Crystal AB color Shadow Swarovski Crystal bicones and 8mm White Swarovski Pearls suspended from a dainty cable chain. 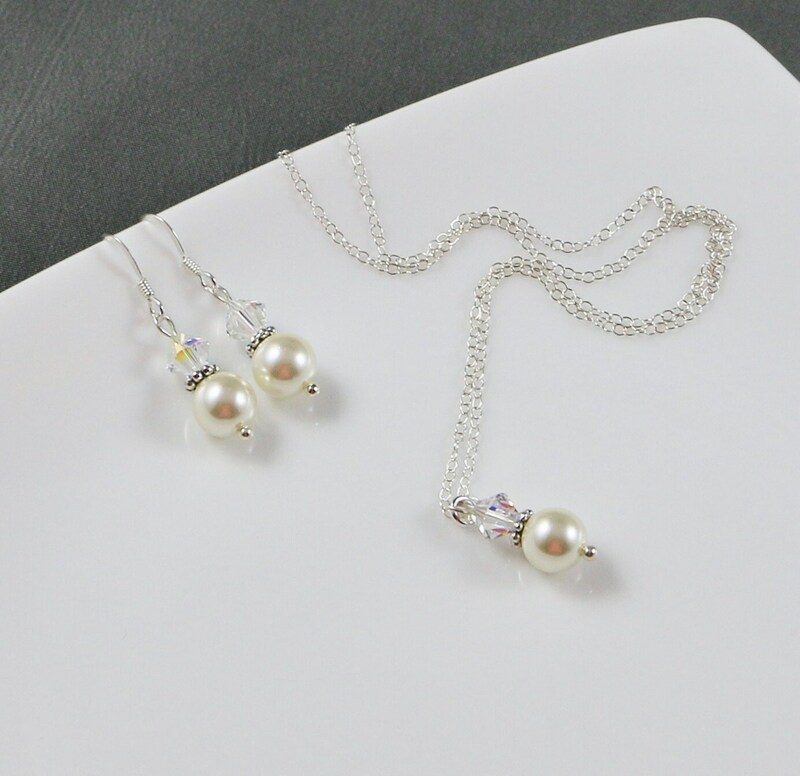 Necklace is approximately 18" from end to end.